Howdy! 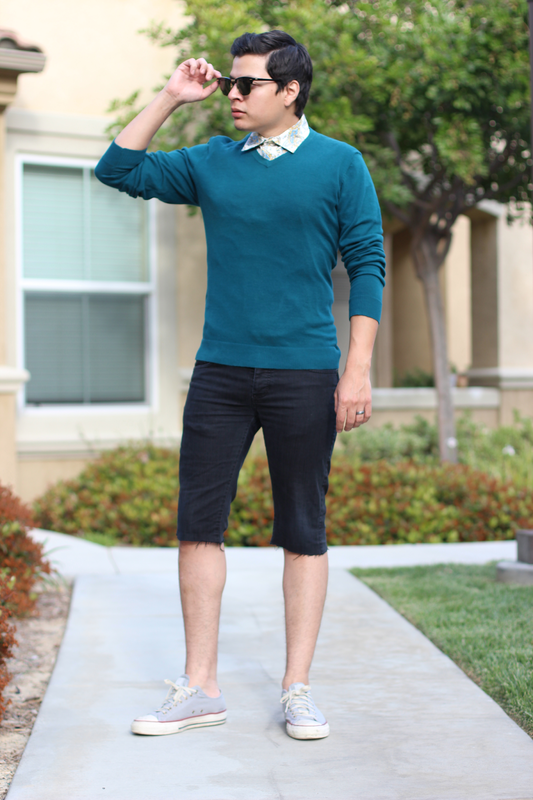 A few posts ago I brought you folks a look featuring a shirt from Fashion Stork. Now that the weather's in the 70's and we can go back to sweater weather days I decided to create a look with this month's Fashion Stork fix. If you know me, I like to mix it up when it comes to casual and dressy/formal. Here's an outfit that is dressier on the top and casual and laid back from the waist down. Fashion Stork provides you with a monthly fix of a carefully curated selection of 2 to 6 items. What you get each and every month is different; you could get a shirt along with a blazer, or a pair of pants, a tee, and a fresh pair of socks. What really caught my eye is that when you enroll to become a member of Fashion Stork, you go through a 3 minute survey of your favorite brands, likes and dislikes (one being that I don't wear anything orange), and all your sizes and measurements… it doesn't get any better than that! Currently, you can lock in a monthly subscription for $65. My monthly fix included this Kennington shirt, an awesome sweater from Alfani, and a pair of Unsimply Stitched socks, all retailing way over $65! Make sure to check me out through Instagram @thecasualboardwalk and Snapchat @casualboardwalk for more behind-the-senes and previews of my next posts!